Kiowatt is a company promoting the know-how of LuxEnergie S.A., in partnership with the Groupe François, so as to set up green energy production units. Kiowatt is mainly active in the production and distribution of energy from installations that use biomass and in the production of the first Luxemburgish wood pellets. The Roost trigeneration site is the first project undertaken by Kiowatt. The cogeneration process makes it possible to use the potential energy of the fuel to generate electricity and heat that can be used for other processes. Maximum use is made of the heat lost during the processes by a succession of several heat consumers (pellet production, absorption refrigerators and district heating network), with complementary characteristic needs. Our BADGER Pellets® are DIN plus certified, with EN plus A1 certification since 2016. 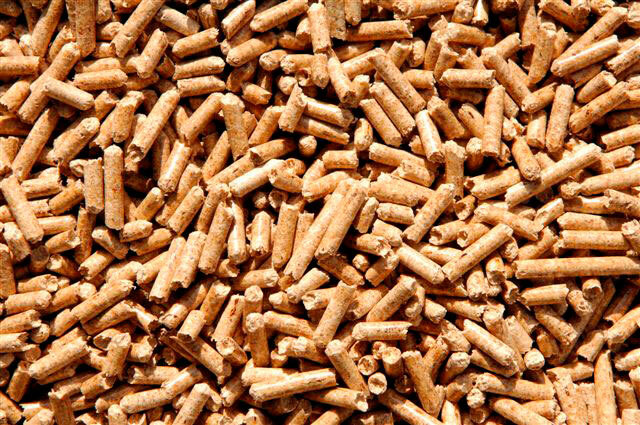 The EN plus certification scheme has been developed by the European Pellet Council, the umbrella organisation for the associations that promote pellet heating in every country in Europe. This independent body performs regular audits to guarantee compliance with the product standard until delivery to the end customer. The pellet production unit uses only fresh bark. 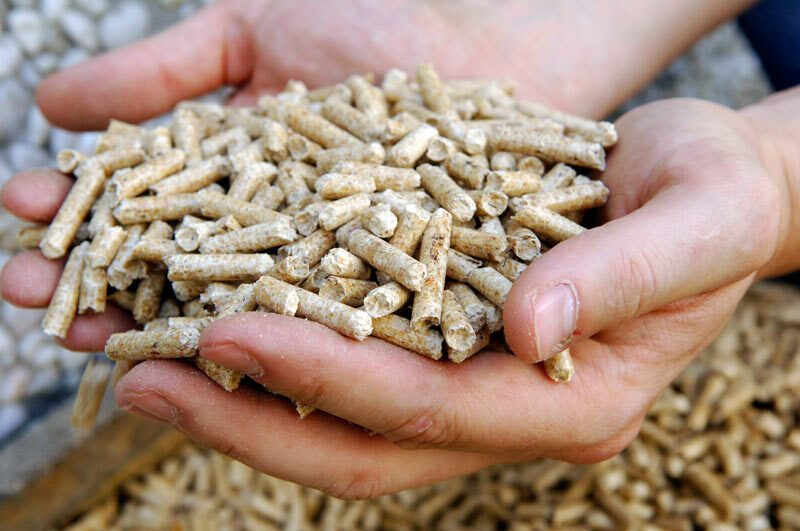 The raw material used to manufacture wood pellets consists of sawdust, fresh wood shavings and small logs which are not suitable for the manufacture of durable goods. 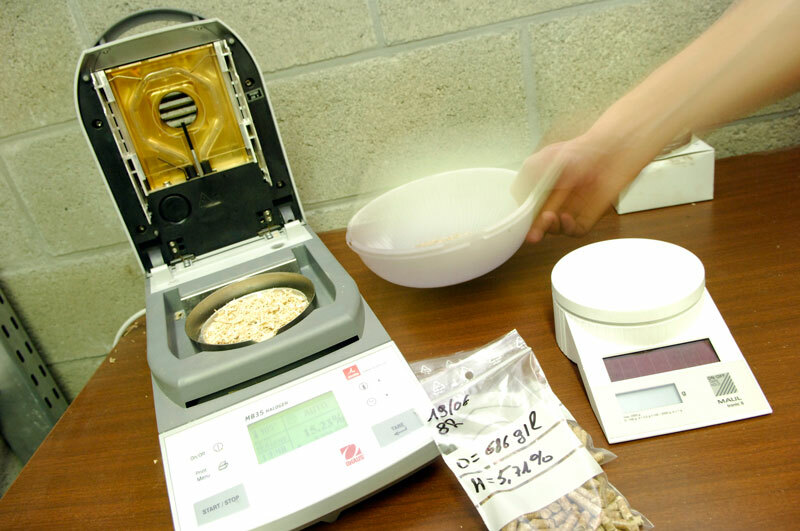 We check the properties and variations of this material. 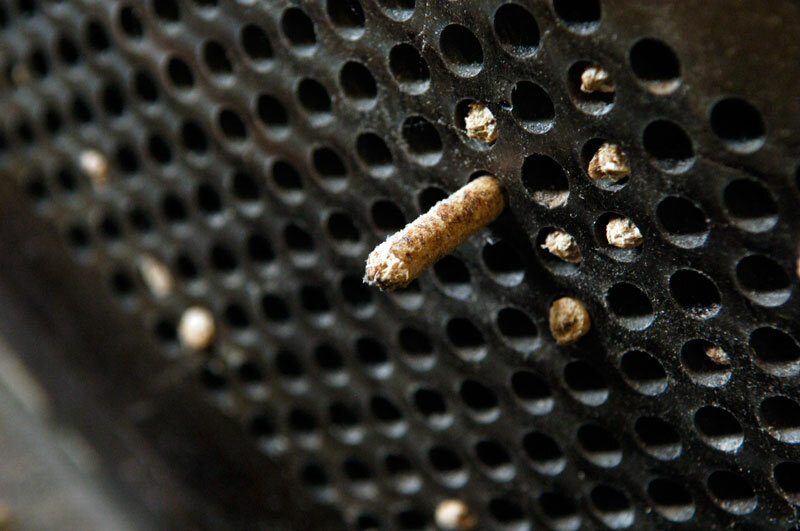 In fact, the final quality of our pellets depends on the quality of the raw material. Thanks to the stability of this material, BADGER Pellets® ensure constant quality that is ideal for use in your stoves and boilers. The bark is first removed from the logs, which are then cut into pieces, reduced to shavings and transferred to a silo of damp shavings and sawdust. The next stage in the process is to remove any ferrous metals from the flow of materials using a magnetic separator. 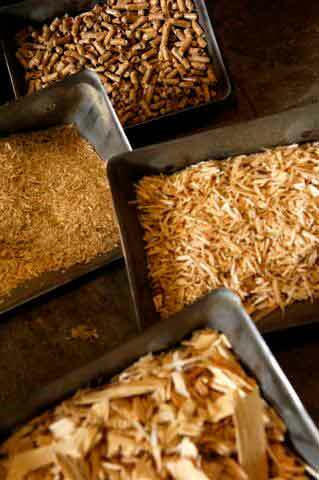 The sawdust is passed through a riddle and then taken to a low-temperature drier, while shavings that are too large go to a crusher, where they are broken up. They are then passed through the riddle once again. In the low-temperature drier (powered by thermal heat produced via the cogeneration unit), the sawdust is scattered onto a wide belt over which hot air is blown across the entire length so that the sawdust is dried until it reaches a humidity level of approximately 8%. It is then transferred to the silo. The dry sawdust is conveyed to pellet presses, where the wood is placed under high pressure as it passes through spinnets (extrusion) and thus converted into wood pellets. Finally, the pellets are cooled, sieved and placed in the pellet silo. 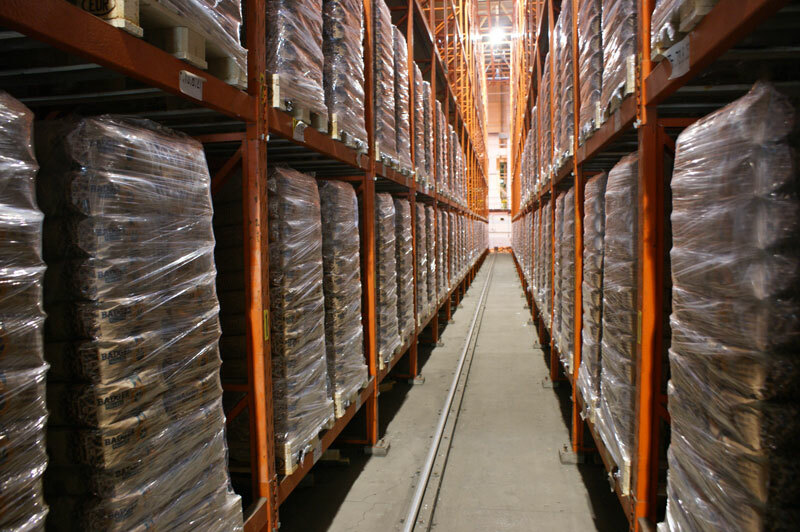 We have an efficient distribution network in the Greater Region! The pellets are decanted from the silo to a filling unit, from which they are loaded into the blower trucks used to make bulk deliveries. 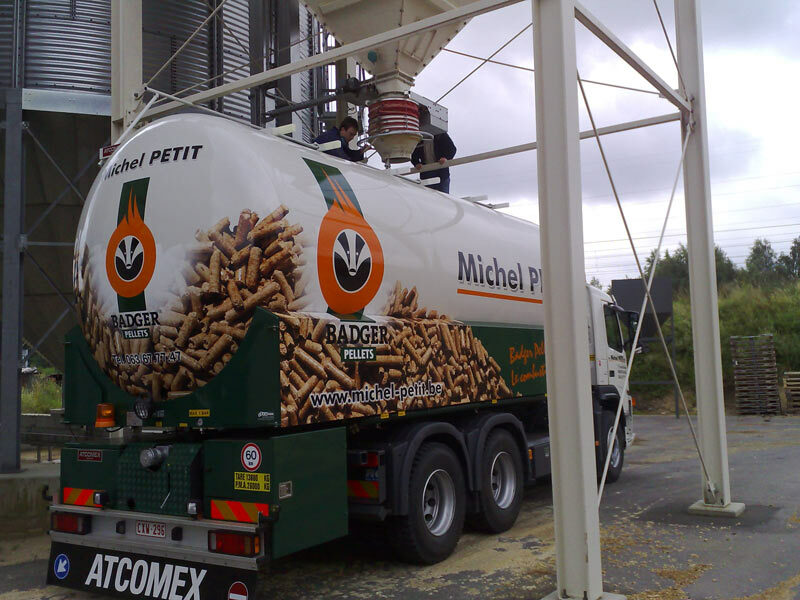 To ensure a professional supply procedure, BADGER Pellets® are distributed in Luxembourg by the company Husting – Reiser. This distributor has its own blower trucks (metrology-approved) to provide you with the best service and a high-quality product. 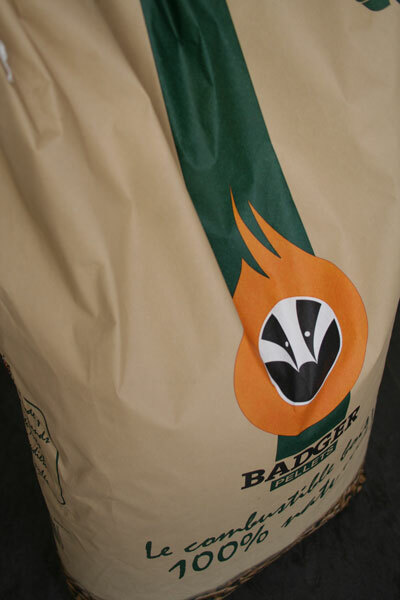 BADGER Pellets® can also be delivered to you in 15-kg bags. The cogeneration plant is supplied with 39,000 tonnes of waste wood from Luxembourg every year. 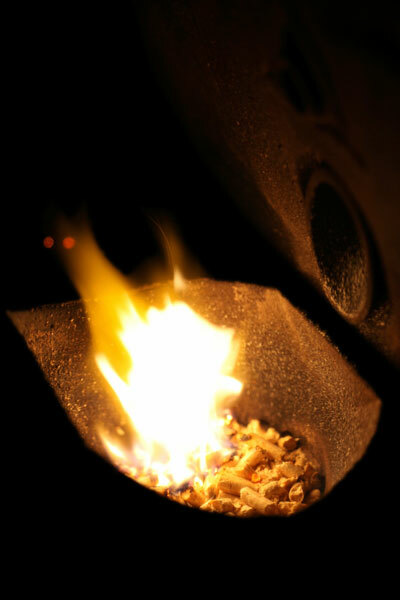 The combustion heat can be used to produce superheated steam in a boiler, which is then used to generate electricity and with it, heat, with the help of a turbine (2.8 MW). At full capacity, the plant will make it possible to produce 22.4 GWh of electricity every year, which will then be injected into the public grid. This is enough to supply around 6,300 households, replacing an equivalent quantity of electricity which would otherwise have to be generated using fossil fuels. Generating green electricity in this ways helps reduce CO2 emissions. to be injected into a district heating network that supplies the Klengbousbierg 2 industrial and commercial estate, the Luxembourg Automotive Campus and the municipal buildings in Bissen. Using this heat also makes it possible to replace energy, which would otherwise have to be produced using fossil fuel and hence reduce CO2 emissions. Overall, the cogeneration plant therefore not only enables the efficient use of the energy contained in the waste wood as a fuel, but also reduces CO2 emissions, as the fuel used is CO2 neutral. The same site has a cold plant belonging to the company DataCenterEnergie S.A. (partnership of the companies LuxEnergie and LuxConnect). It produces cold for the LuxConnect S.A. data centre, which stands just opposite the Kiowatt plant. The technical concept of the DataCenterEnergie cold plant is based on the production of cold using absorption refrigerators, which are supplied with heat by the exhaust fumes from the Kiowatt wood recovery facility. The two absorption cold production machines have a refrigerating capacity of 2,500 kW each. To achieve this result, they require a heating power of 3,550 kW per absorber. The heat supply is provided via a district heating network between the Kiowatt heating plant and the DataCenterEnergie facility.